You may be surprised to learn what’s in some of your favourite snacks. Learn more about food additives and how they could be hindering your health. 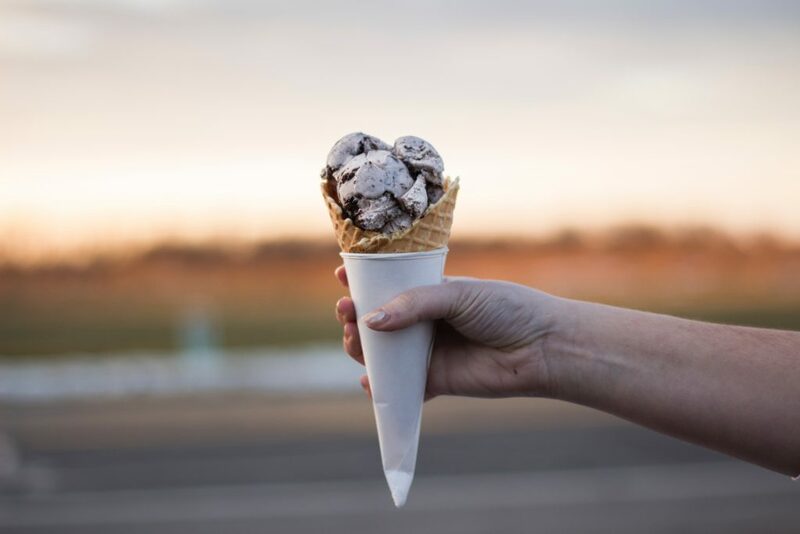 Ice cream is the perfect treat on a hot summer day, but have you ever wondered why it’s soft and creamy when you take it out of the freezer? It’s a magic ingredient called propylene glycol, a food-form of antifreeze. And that hot fudge sauce or those colourful sprinkles on top? That’s a neurotoxin soup of hydrolyzed vegetable protein and aspartame. Downing a protein shake after your workout? That milkshake consistency comes from xanthan gum. It’s made from that black sludge you find on top of your broccoli that gets forgotten at the back of the refrigerator. Try using it in your blender and see the slimy residue for yourself…and then imagine your intestines! Gums are emulsifiers that make food melt in your mouth, a trick called “vanishing caloric density.” Your brain gets tricked into thinking that the calories have vanished before your brain sends a signal for you to stop eating, so you end up eating more. The salmon in the fish case is a beautiful sea-coral colour because of red dye and preservatives. These control the look and texture of food that is going to sit out for a long time. Artificial colours cover up the effects of rancidity when fish sits out for too long or brightens up the gills of an older fish. Flavour enhancers like Textured Vegetable Protein (TVP) and carrageen are used to make doppelgangers of real foods. TVP approximates ground beef for vegans, and guar gum is used to bind ingredients in gluten-free breads. Both come with health risks: the TVP-making process uses hexane – found in gasoline – to remove the fat from the soy bean; guar gum is also a powerful laxative. So, if food additives are everywhere, are they safe? The FDA keeps a list of officially “approved” food additives. But most fall under the voluntary designation GRAS: Generally Regarded As Safe. This means that a company can tell the FDA what additives are in a product if they want to, but it doesn’t mean that the additive will ever be tested. And even if an additive is tested, most are relatively new, so the long-term effects are unknown. It’s like cigarettes. Nobody knew that they were harmful for a very long time because the studies were short-term. Remember, food companies profit by you buying MORE food, not less. It’s up to YOU to budget your money and your health. So, if being healthy is truly important to you, the best approach is the simplest one put forth by journalist and Harvard Professor, Michael Pollan: “Eat food.” You know, the things on the outside of the grocery store, without health claims, and with a short list of ingredients that a 3-year-old can pronounce and recognize.